in Information Security and Information Technology. Our 2019 seminar provides an in-depth coverage of Information Security and Cryptography from both a conceptual and an application-oriented viewpoint. At the same time, the mathematical, algorithmic, protocol-specific, and system-oriented aspects are explained in a way understandable to a wide audience. This includes the foundations needed to understand the different approaches, a critical look at the state-of-the-art, and a perspective on future security technologies. The seminar will take place in Zurich, Switzerland. The hotel is conveniently located between downtown Zurich and the airport, easily accessible from both with public transportation. He is a full professor at ETH Zurich and chair of the Department of Computer Science. He received his Ph.D. in Computer Science from Cornell University in 1989 and his Habilitation in Computer Science from the University of Saarbrucken in 1996. From 1997–2002 he held the chair of Software Engineering at the University of Freiburg in Germany. His research areas are Information Security and Software Engineering. He is the founding director of the ZISC, the Zurich Information Security Center, which he led from 2003-2011. 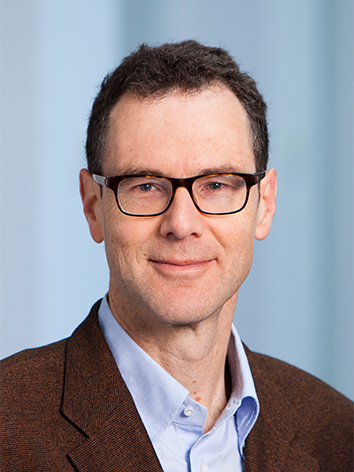 He is Editor-in-Chief of the ACM Transactions on Privacy and Security and of Springer-Verlag's book series on Information Security and Cryptography. He has co-founded three security companies, is on the board of directors of Anapaya Systems AG as well as various management and scientific advisory boards, and has consulted extensively for IT companies and government organizations. He is an ACM Fellow. He is a full professor of Computer Science at ETH Zurich. His research interests include the theory and applications of cryptography and information security. He served as the Editor-in-Chief of the Journal of Cryptology from 2001 to 2010, and Editor-in-Chief of Springer Verlag's book series in Information Security and Cryptography from 1997 to 2012. Maurer holds several patents for cryptographic systems. He serves on several management and scientific advisory boards, has consulted extensively for the financial industry, the IT industry, and government organisations, and has co-founded several companies, including the blockchain project Concordium. He is an IEEE Fellow, an ACM Fellow, an IACR Fellow, and recipient of the 2013 Vodafone Innovation Award for Mobile Communications and the 2016 RSA Award for Excellence in the Field of Mathematics. The Advanced Technology Group provides consulting services in Information Security and Cryptography, both at the technical level and the management level. Previous customers include major Swiss banks and insurance companies, government administrations at the international, national and state level, major professional services and consultancy firms, as well as various technology companies.